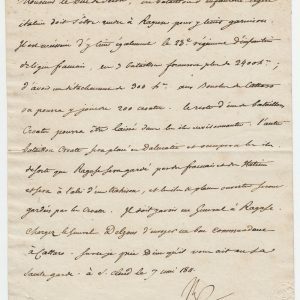 Autograph Letter Signed ‘Victor Margueritte’, to M.Dumaine, President of the commission of enquiry. 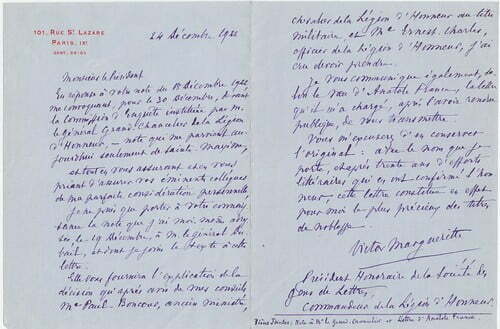 Together with a dossier of papers and letters relating to Margueritte’s disbarment from the Order of the Legion d’Honneur following the publication of his novel La Garçonne. 2 pp. 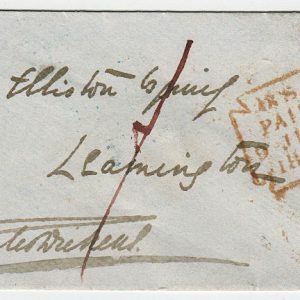 letter, in fine condition, with other papers. Paris, 24 December 1922. Victor Margueritte (1866-1942), French novelist. Victor Margueritte designed two pantomimes, Pierrot assassin de sa femme (Théatre Libre, 1882) and Colombine pardonnée (Cercle funambulesque, 1888), and was the author of La Garçonne. Translated into English as The Bachelor Girl, this novel deals with the life of a young woman who, upon learning that her fiancé is cheating on her, decides to live life freely and on her own terms. Amongst other things, this included having multiple sexual partners. 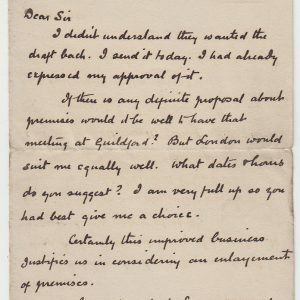 The dossier comprises 3 letters signed by General Dubail, Grand Chancellor; 1 letter signed by Ernest Cartier, member of the commission of enquiry; Dumaine’s report on this affair; copy of a letter from Anatole France defending Margueritte; newspaper cuttings.